Have you ever read every single book by your favourite author and then wondered 'What's next?'. Well, now you won't have to. Sutherland Shire Libraries have just subscribed to the online version of the popular book, Who Else Writes Like . . .? This new database lists over 2000 authors and suggests other authors that 'write like' them. You can browse by author or genre or search by author, series, character, occupation or environment. Once you've found an author you like, click on the link to find more information including the genre and series they write, a link to their website, a list of prizes they've won and, of course a long list of suggested other authors. It also has a list of various literary prizes and their winners, so you can check out some of the greatest novels of our time (and see if the judges got it right). So check it out now and find your new favourite author today. The database can be accessed from home (using your Library card number) and in any Sutherland Shire Library (excluding Bundeena). If you're a regular at Menai or Engadine Libraries, you may have noticed they've been briefly closed recently. This was to instal the new look service desks, display panels and reservation shelves. This has given the Libraries a more welcoming vibe and bigger reading areas. Check out our Flickr photostream of the changes below. We hope to see you in the Library soon. In March this year, Emma Baker visited Cronulla Library to give this fascinating talk on one of our biggest shire scandals: The 'Shark Arm' case. In 1935, a large Tiger Shark was caught off the coast of Coogee and kept in the local aquarium baths. On ANZAC Day, the Shark disgorged a human arm. A forensic investigation revealed that the Shark was not responsible for the Victim's death: it was murder. And so an investigation ensued, leading to the shores of our very own Cronulla . . .
Shire Scandals:'The Shark Arm Case' from Sutherland Shire Libraries on Vimeo. So who do you think did the crime? Refugee Week is Australia's annual activity to inform the public about refugees and celebrate positive contributions made by refugees to Australian society. The event has been celebrated in Australia since 1986. This year, a joint project between Gymea Community Aid & Information Service and the Sudanese community will be launched during Refugee Week 2011 at Sutherland library. The launch will showcase highlights from the oral history project titled - Sudanese people in the Sutherland Shire - a moving community, providing insights into the circumstances which led people from Sudan to call Australia home and the help they received from the Sutherland Shire community when settling. The oral histories and a digital story of the project will be available online after the launch. The shire libraries hold a number of resources for refugees and also their stories, these will be displayed in the Southern Lounge area of the Sutherland library during Refugee Week. Sutherland and Cronulla Libraries will also be screening 9 short films from the Australian Refugee Film Festival throughout Refugee Week. The films will play at intermitant times at both libraries. Hello out there blog readers! Library week (23rd – 29th of May) was a success at Miranda library this year with more than 100 people getting tickets to the Miranda library week hamper of goodies. The happy hamper winner, who was a first time visitor to Miranda Library, spent 20 minutes driving around the Westfield car park and rang 3 times to identify the exact Library location. He walked in the Library to pick up a book 5 minutes before it was due to close on a rainy evening. Staff were told that he had been a library member for a while, and that this is the first time that he got a library raffle ticket and 1st time won something in 36 years. Here is a picture of Becky from Miranda library presenting the prize to the lucky man. We also had something for children over the course of library week with the National Simultaneous Storytime held on Wednesday the 25th at 11am. Two kindergarten classes from Miranda public school came to listen to “Feathers for Phoebe”. Just because Library week is over doesn’t mean that nothing is coming up at Miranda! There are lots of activities coming up for school holidays. Just check out our events calendar for details. This week (June 13th - 19th) is Men's Health Week. The point of which is to raise awareness of the health concerns facing men and boys in Australia and to provide tools and information for the community to educate men about their health and well-being issues. It is also a week to acknowledge the diversity of men and boys in Australia and to celebrate the positive contributions of men and boys to their communities. Here at the Shire libraries, we can provide information to men on health - both maintaining it and concerns they may face through a variety of resources including books, brochures, cds and DVDs. You can also download brochures and information online to read at home. The libraries also hold a number of biographies about influential men who have succeeded against impossible odds, both physically and mentally. 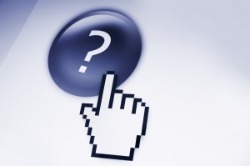 Also, a number of websites may be useful to you or a family member. 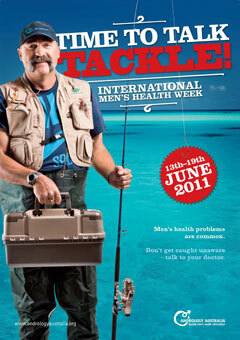 The Australian Men's Shed Association are proud to support Men's Health Week 2011, providing health screenings at a number of Men's Sheds in Australia. Through the link you can search for a Men's Shed near you. Miranda Library now hosts it's very own knitting group! 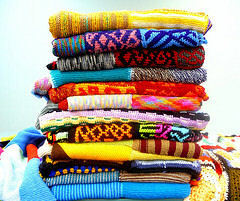 Knitters and would-be knitters are invited to join this new knitting group in a relaxed, welcoming and social setting. The group meets on the second Tuesday of each month 10.00am - 12.00 noon. All levels of ability and ages are welcome. The first meeting will take place on Tuesday June 14th 2011. Contact Miranda Library to express your interest. Children, parents and cuddly toys alike had great fun dressing up for Pyjama Storytime at Menai Library during Library and Information Week. 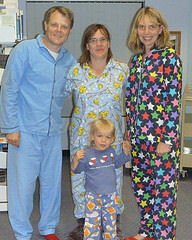 Guy and Kelly hosted a very fun bedtime-themed storytime in the evening. Everyone wore their brightest pyjamas and brought their favourite cuddly toy. Sutherland Shire Libraries hosts a number of great activities for Kids, most of which are free. To find out what's on in the future keep an eye on our events calendar. To see more of the great fun that was had during Library and Information Week, check out our Flickr page. Recently, the Prime Ministers Literary Awards shortlist was announced. This the fourth year of these awards, which recognise and celebrate excellence in Australian literature. There are four categories, fiction, non-fiction, young adult fiction and childrens fiction. The winners will be announced in the week of 4th-8th July, 2011.